This post describes the sites and databases that SharePoint create during installation. SharePoint creates at least creates three IIS Web Sites, one site is for SharePoint Central Administration, another site is to use SharePoint’s lists, Sub Sites and libraries and third website is to support webservices, such as Business Data Connectivity, Security Token Service and Topology. This site or web application is used to control the configuration and administration of all servers on the server farm. Unique port is setup for the site and it is not standard HTTP port. The standalone SharePoint installation choose a random port or it allows you to choose a port between 1023 and 32767. In Server Farm installation you can specify a port or you can use the one it suggested. The default name for the SharePoint site is usually SharePoint-80. It is the first top-level site for SharePoint. 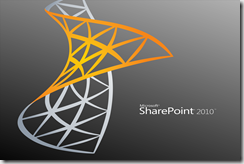 SharePoint Web Applications contain site collections which are collection of sites. Each one starts with top-level site but they can also contain additional subsites. This website does not contain any web pages and it is used for SharePoint web services. These webservices allows the user to make external connections to data that is not stored in the SharePoint’s databases. Note: The above three web sites are created typically during the SharePoint installation. You can create more if you would like to. SharePoint Creates databases during the installation, Each website mentioned above needs at least one content database to hold the data. The Central Administration database also holds the configuration information in database. SharePoint_Config_(GUID) This is the configuration database for SharePoint and holds the settings for the entire farm. WSS_Search_Servername This database contains all the search data when the index service crawled through the SharePoint site Collection. SharePoint_AdminContent_(GUID) This database contains the content of SharePoint Central Administration site content. When you enable additional services in SharePoint it creates databases for the corresponding services. This database contains SharePoint’s diagnostic logging and usage to store logging and usage data. This database is used to store Business Data Connectivity data. This database is critical when you use external datasources to have external lists and list fields in SharePoint. This is not a default database name and you can create this using PowerShell. SharePoint allows you to create or add additional content databases to the SharePoint web applications to keep up with the ever increasing data load. SharePoint web sites holds the website site collections and each site collection contain a lot of data which will be stored in database.